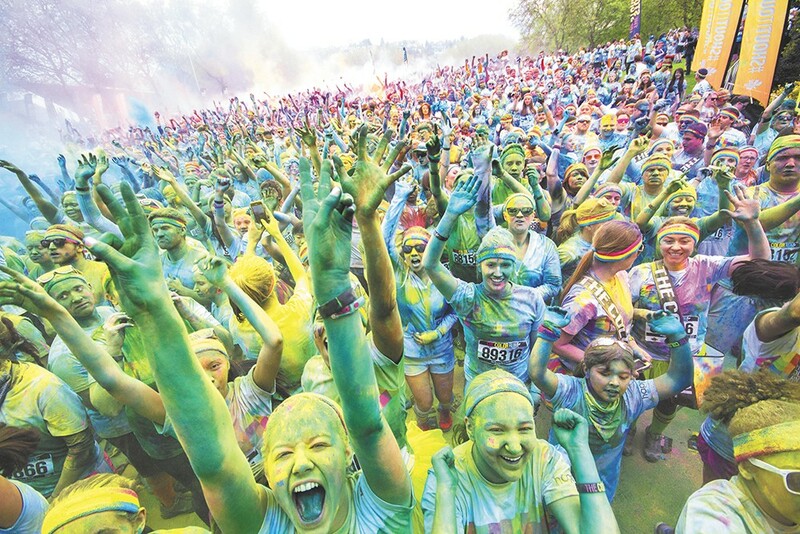 Events like Color Run focus on fun and fitness. This nighttime run through downtown Spokane features a high-energy pre-party and a course filled with music, lighting effects, and runners donning glow sticks head to toe. After the race, just keep running straight to the DJ afterparty and dance all night. Enjoy music and entertainment from a veriety of Latin American countries throughout this fast and flat course in Riverfront Park and on the Centennial Trail. If you struggle motivating yourself to run, try rewarding yourself with beer every few miles. Celebrate many of the local craft breweries in this relay race that offers beer tastings at each exchange, and a brewfest with live music after the race. This trail run for athletes of all abilities takes advantage of the varied terrain of Riverside State Park, with incredible views along the river, 2,470 feet in elevation gain and homemade cookies at the finish line. Beat the chilly November weather with a brisk run starting at Gonzaga followed by hot cocoa and an elaborate chocolate reception — complete with fondue fountains and truffles — all while raising funds for local children in need. Round up the family and earn your Thanksgiving feast with a nice jaunt around Manito Park to benefit Second Harvest (and your post-Turkey Day waistline). The mother of all fun runs, Bloomsday is a must-do for locals and visitors alike. This year's run will kick off its fifth decade, so it's bound to be a good one. This North Idaho race is designed for all ages, with plenty of muddy obstacles, water balloons and puddles; participants can run amok, get grubby and support the health care needs of local families.